See your treasure and explore the invisible one. I teach Kundalini Yoga taught by Yogi Bhajan in Munich (Trudering, Berg am Laim, Ramersdorf, Westend, Maxvorstadt), City and countryside, abroad, Indonesia or where you are right now. Yoga private and individual * Private Yogalessons in your home, at your work, in a cozy yoga shala, in your holiday, alone or with your partner, family, friends, colleagues. ... Contact me for your very individual Yoga time. Are you looking for a Heart to Heart gift for your beloved ones? 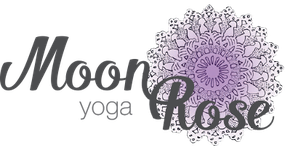 How about a Yoga Voucher from MoonRose Yoga? How to stay connected, register for the MoonRose Newsletter. All news coming regularly and free in your mailbox for Kundaliniyoga for all, prenatal and postnatal as well as Moonmeditation and Yoga Retreats.